After announcing his departure from Def Jam and signing a new deal with Alamo Records, Durk shifted his gear and began to kick off the campaign for Signed To The Streets 3. 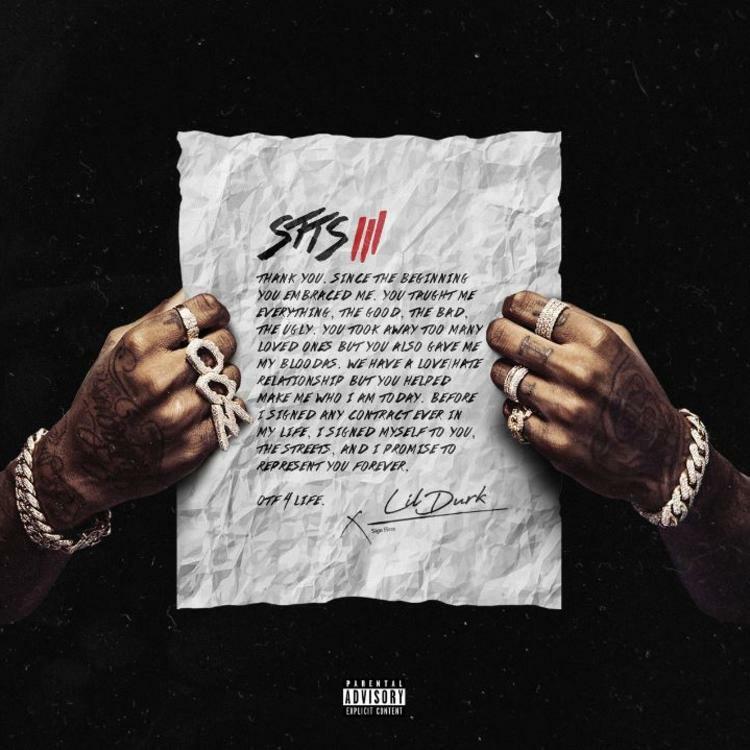 Lil Durk is back with his new project, Signed To the Streets 3. Durk's new project is 20 tracks deep and hails features from some of the biggest in the game such as Future, Gunna, A Boogie Wit Da Hoodie, Ty Dolla $Ign, Kodak Black, TK Kravitz, and Lil Skies, among others.